EAGLE LAKE, Maine — One week after an Eagle Lake woman lost her home, vehicle and a beloved dog to fire, local Girl Scouts offered their support with donations and encouragement. On Wednesday, April 3, Angela Bossie’s Main Street home went up in flames due to a fire that originated in a wood stove in her garage. Members of the Eagle Lake Fire Department, with aid from members of the Fort Kent Fire Department, were able to contain the fire and prevent it from spreading to neighboring homes, but couldn’t save the home. Bossie lost all of her personal belongings. During their April 10 meeting at the Eagle Lake Town Office, Girl Scout Troop 50 members surprised Bossie with donations of household items, clothing and even Girl Scout cookies. 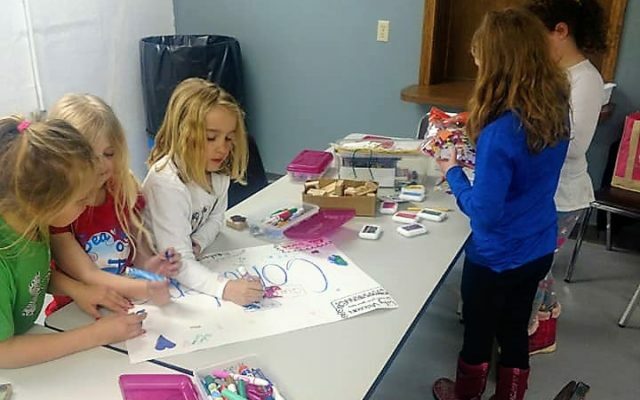 “Angela is our Eagle Lake town office secretary, so the girls all know her,” said Troop 50 co-leader Morgan Wilson. The girls also decorated a poster board card for Bossie which they all signed, and provided her with hugs and words of encouragement.